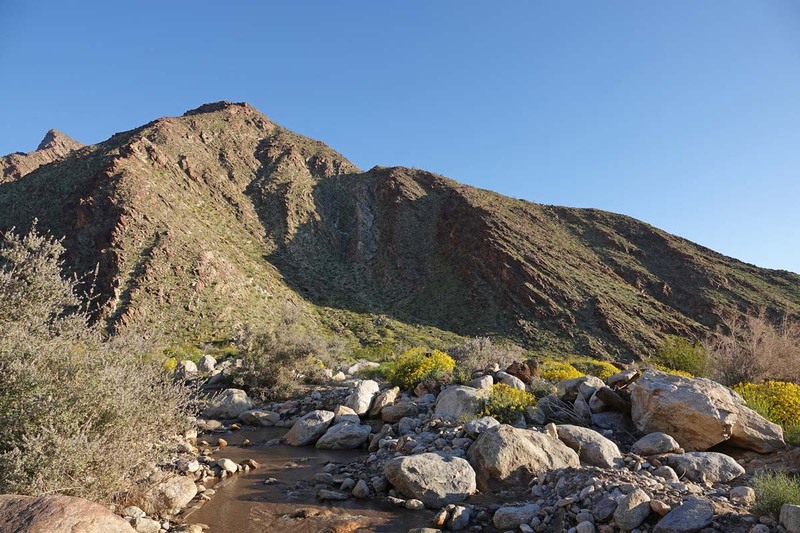 The palette of the Colorado Desert is often subdued—its dun soils, beige sands, and gray rocks are typically enlivened by only a few green creosote bushes or spiny cacti. 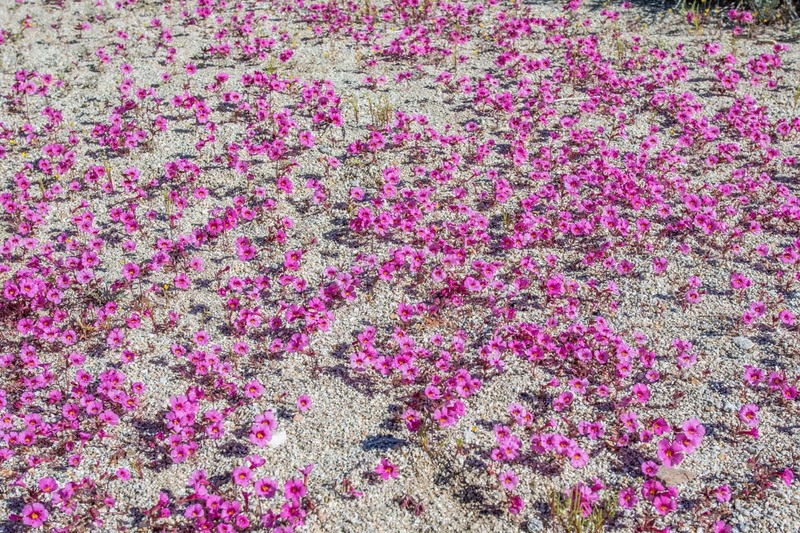 But this year is an exception. 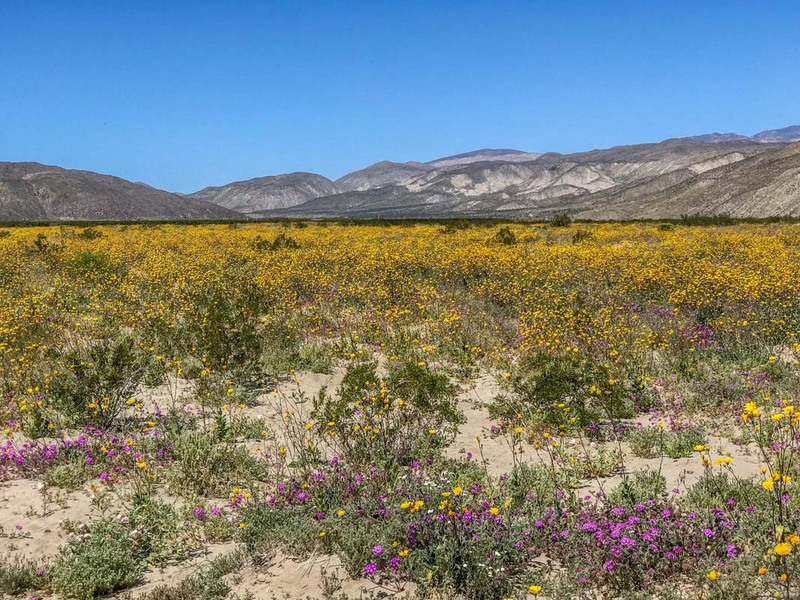 The skies delivered six times more water to San Anza-Borrego State Park during the 2018-19 rainy season than the previous year. 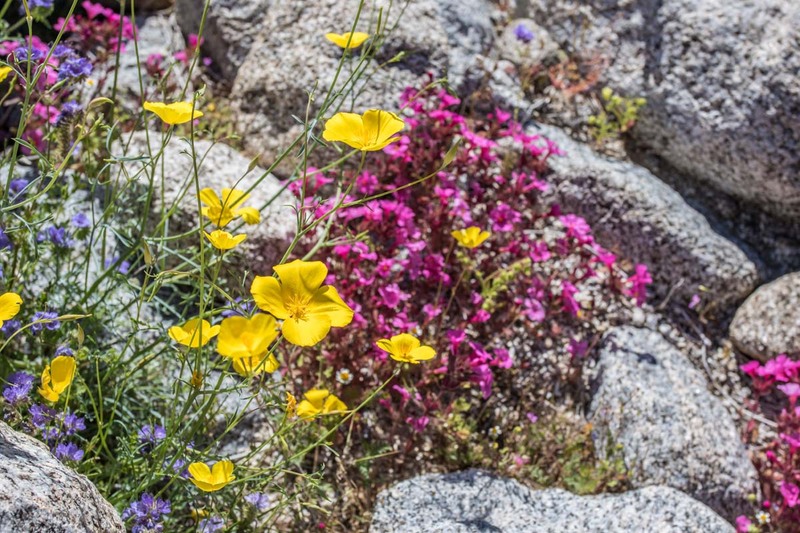 The watery bonanza kicked off southern California's second super bloom in two years, a surprise given that these events occur once a decade on average. 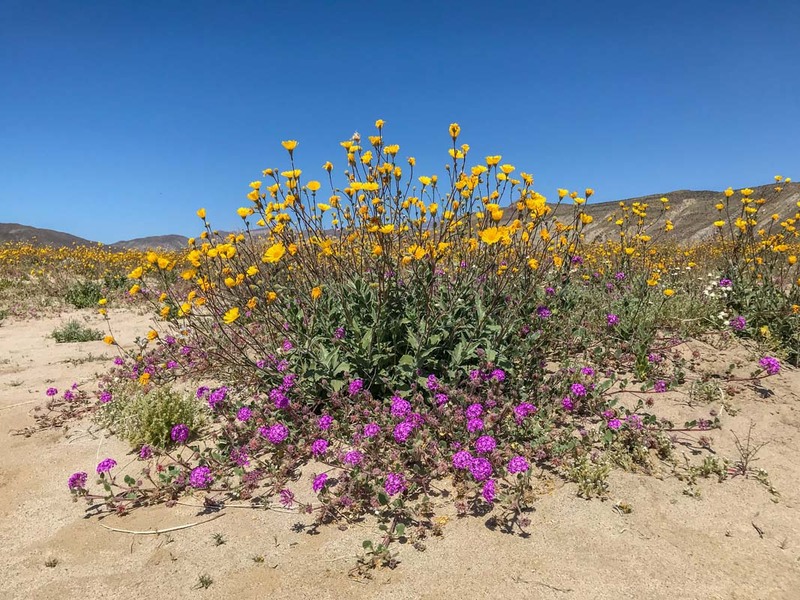 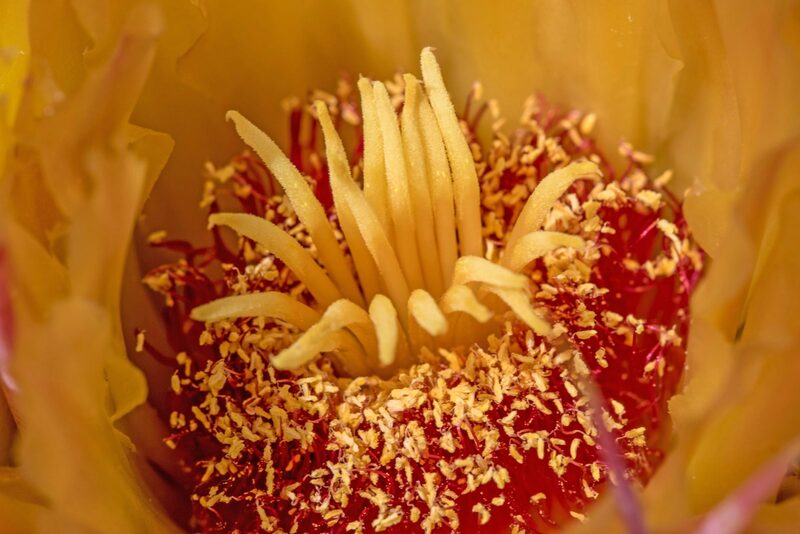 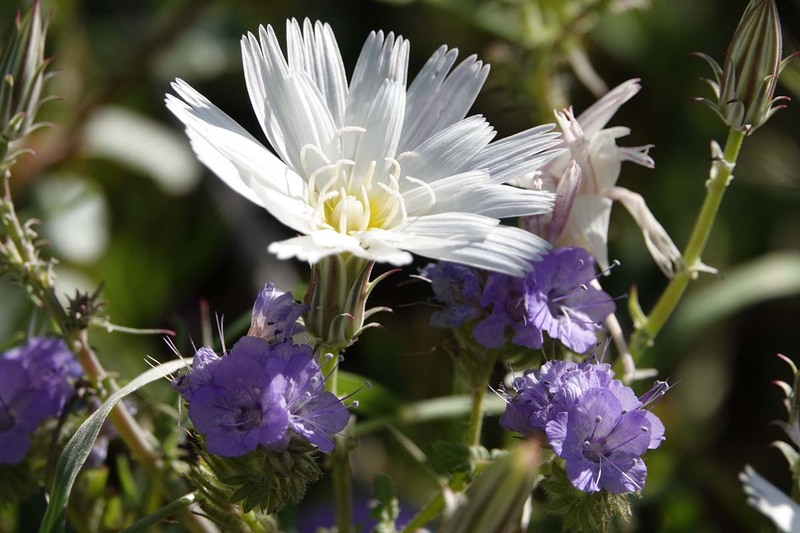 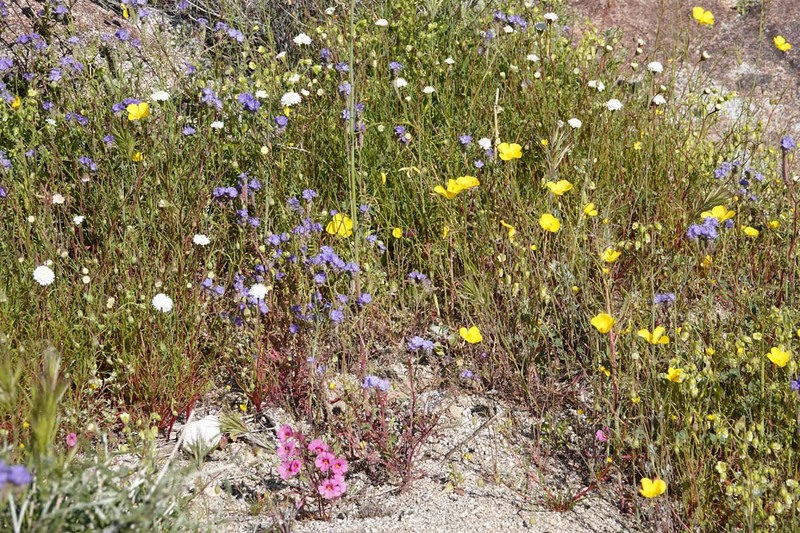 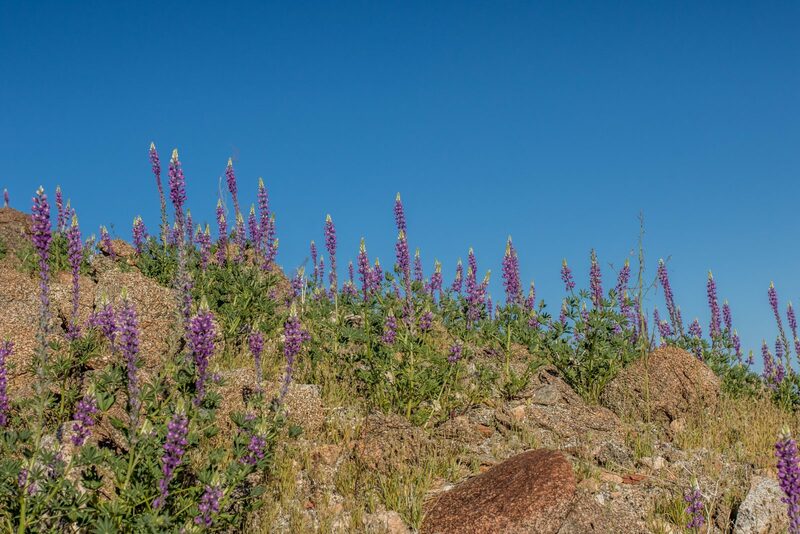 These photographs document the super bloom at Anza-Borrego Desert State Park and the Steele/Burnand Anza-Borrego Desert Research Center, an NRS reserve located at the western edge of Borrego Springs. 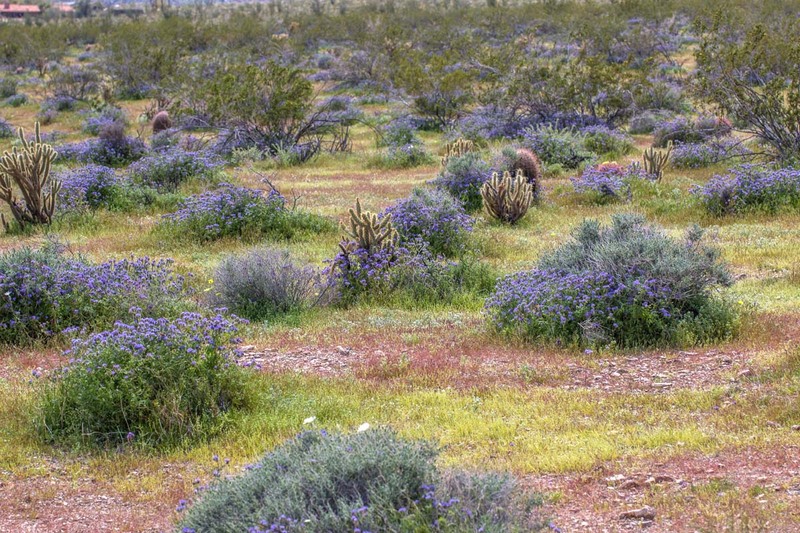 Photos were taken March 14-16, while the bloom was in full swing. 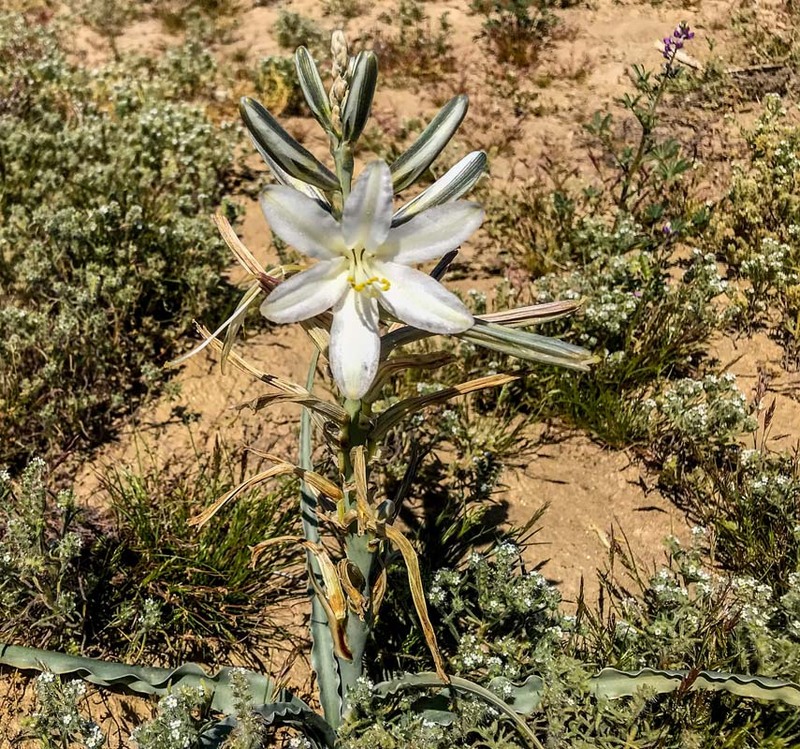 Desert lilies (Hesperocallis undulata) flowered as early as December, hinting at a possible super bloom to come. 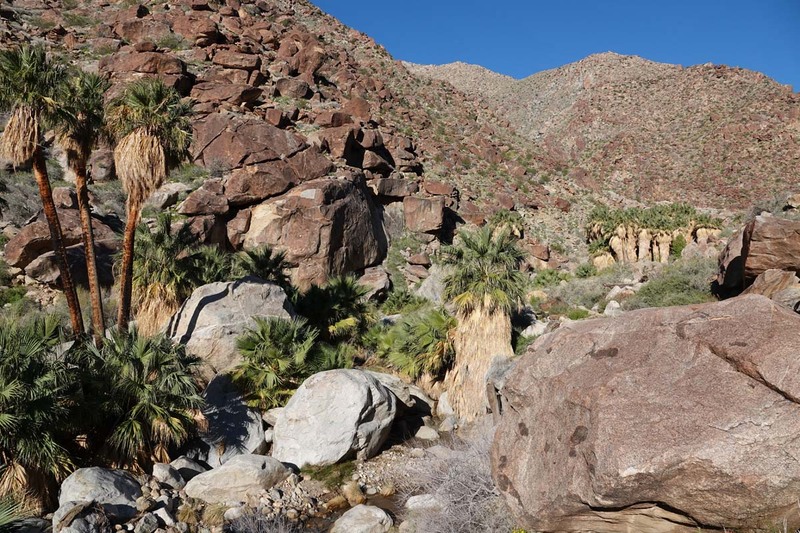 Palm Canyon Trail follows a spring issuing from the hills near the park visitor center to a California fan palm oasis. 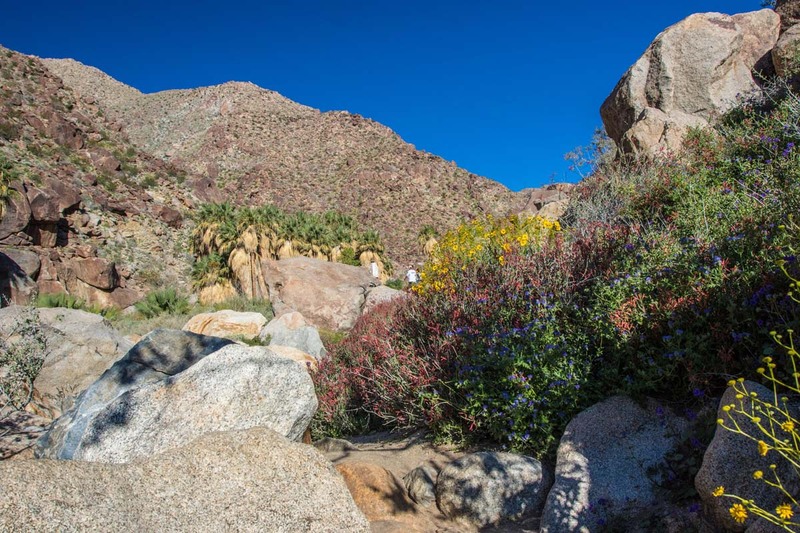 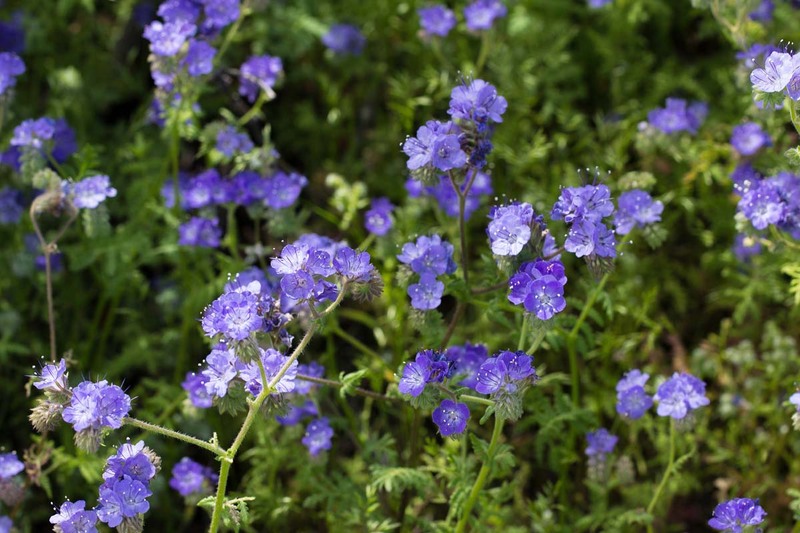 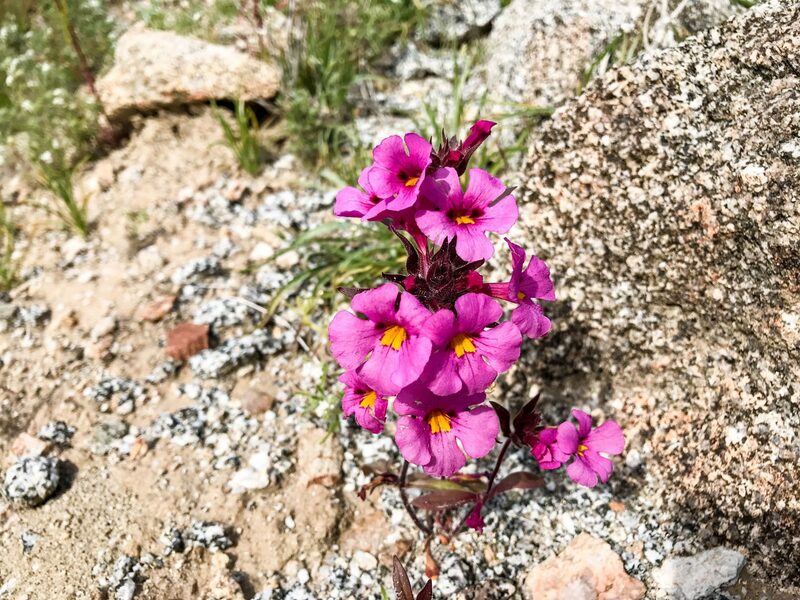 Flowers flourished beneath boulder crevices, bejeweled washes, and tinted entire canyon slopes. 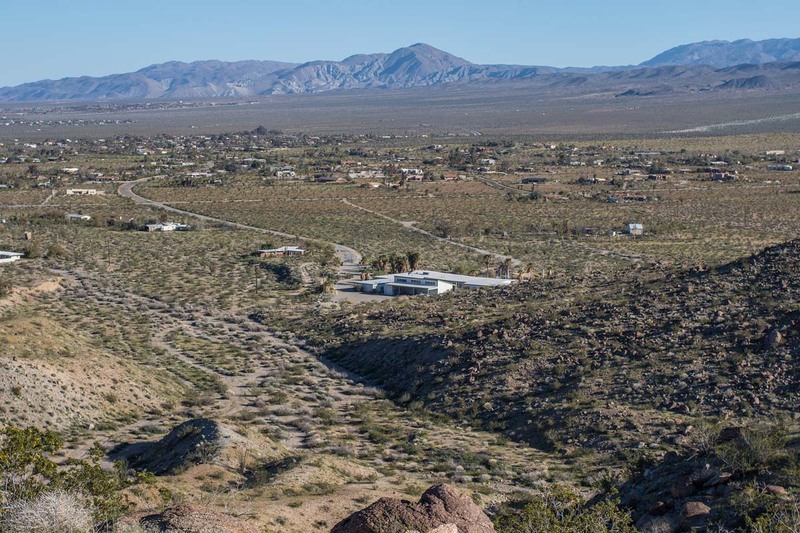 Steele/Burnand Anza-Borrego Desert Research Center is located on the site of a former country club at the outskirts of the town of Borrego Springs. 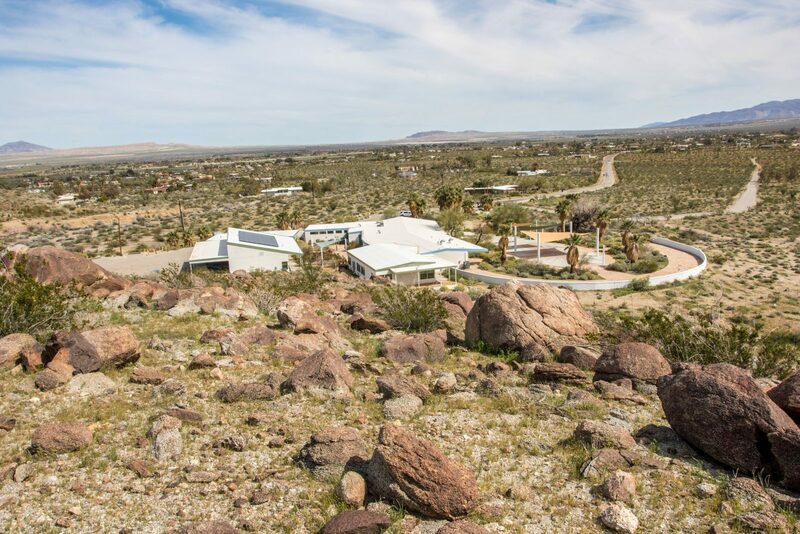 In 2011, the building and its adjacent open desert joined UC Natural Reserve System. 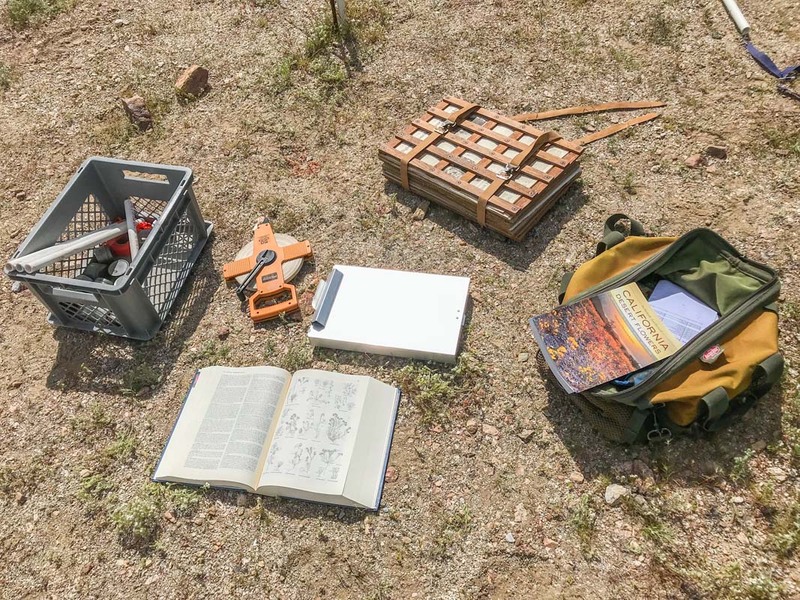 UC Irvine, which administers the reserve, renovated the club into a field station complete with meeting rooms for classes and lectures, accommodations, and a laboratory. 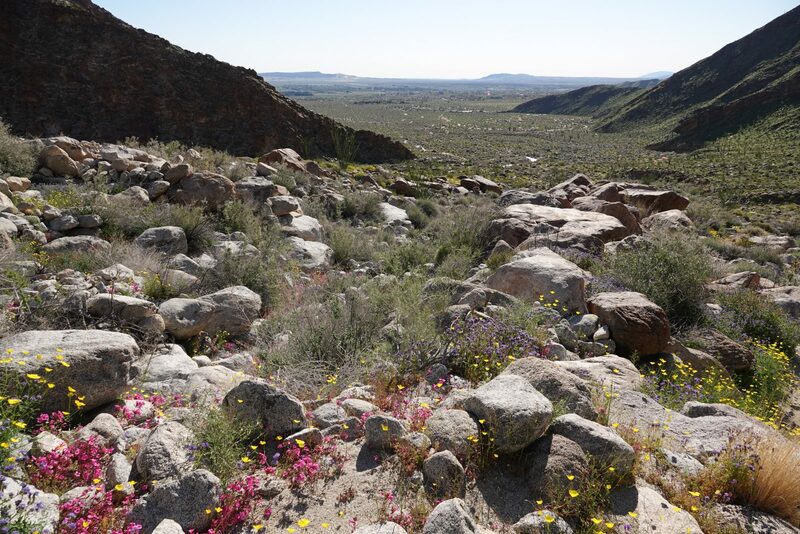 The reserve now hosts nearly a thousand university students, members of the public, and researchers per year. 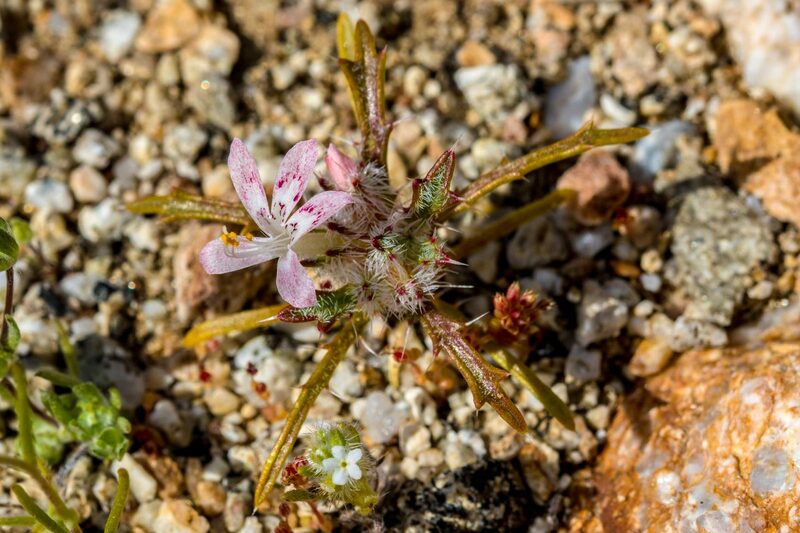 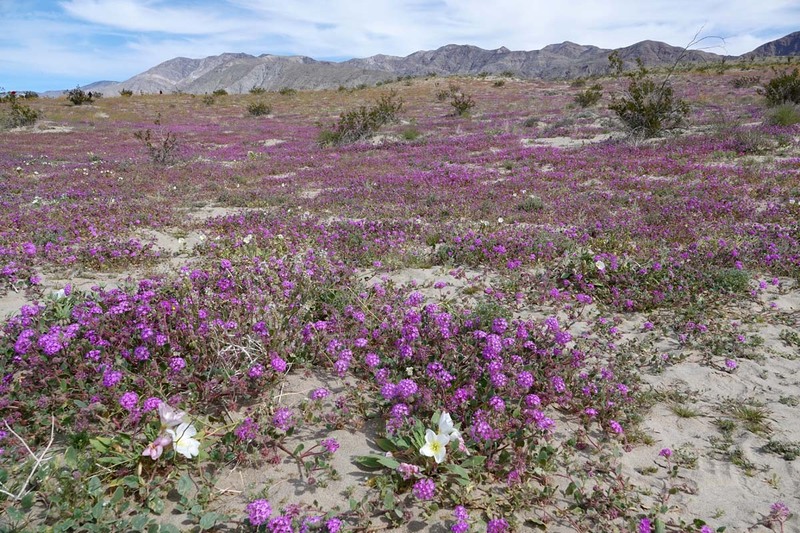 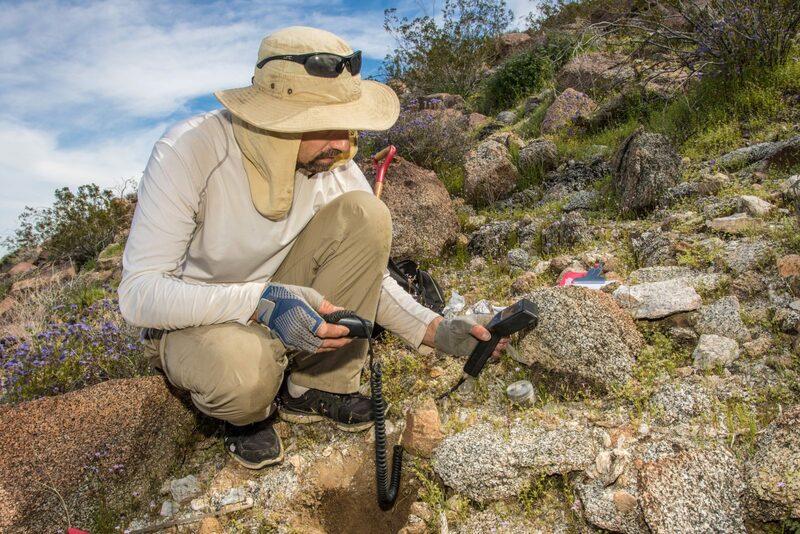 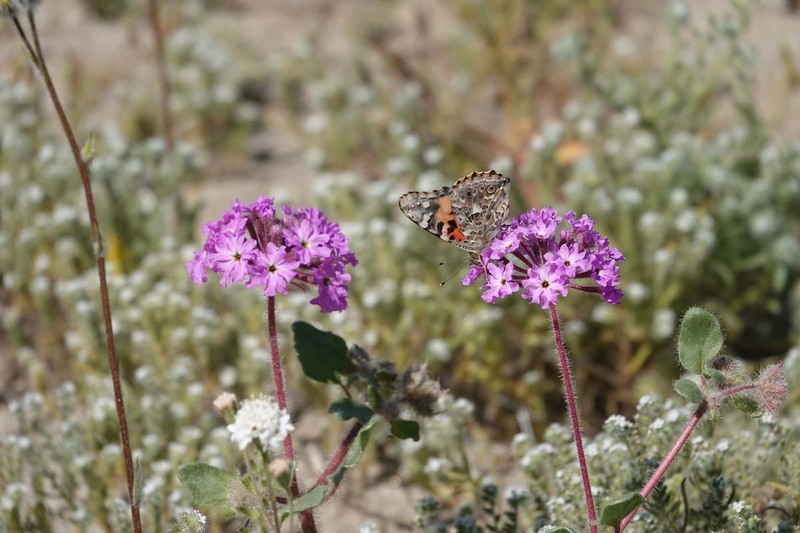 A partnership with Anza-Borrego Desert State Park facilitates research within the 615,000 acres of desert, badlands, mountains and springs of California's largest state park. 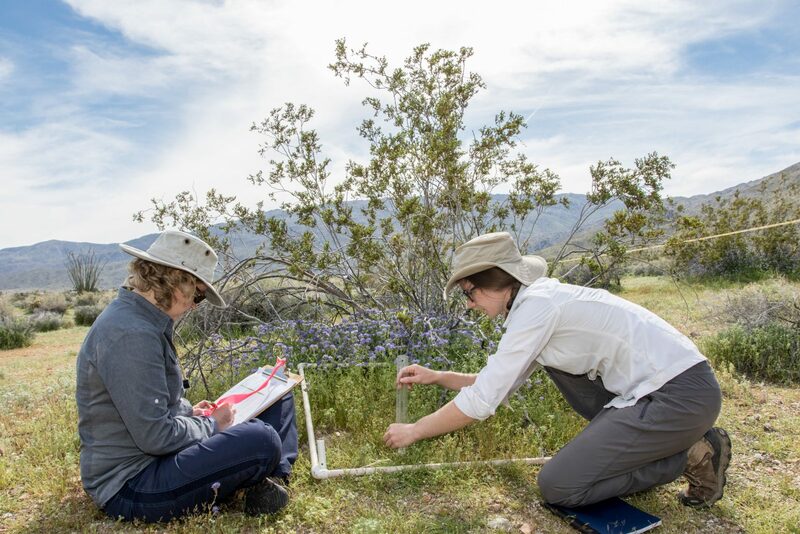 Sarah Kimball, Assistant Director of the Center for Environmental Biology at UC Irvine, and UCI field technician Julie Coffey inventory the plant species at Steele/Burnand Anza-Borrego Desert Research Center.